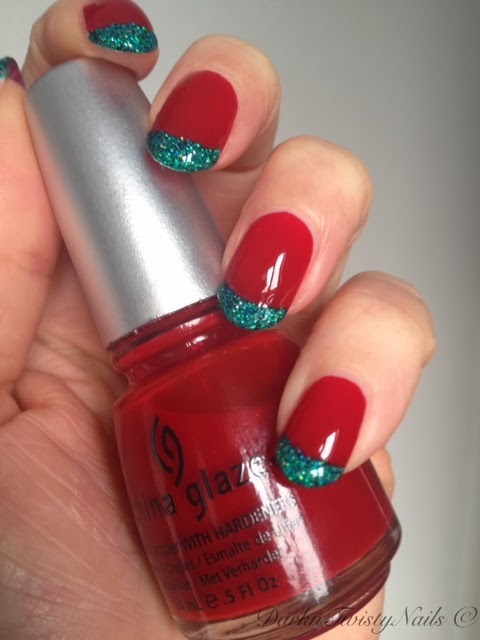 Today is the first day of the #XMASNORULES Christmas Mani Challenge and we start this month off with Red and Green. I chose a green that I always gravitate towards around Christmas. It's just so pretty and sparkly, Color Club Holiday Splendor. For my red, I chose a true Christmas red, China Glaze Phat Santa. 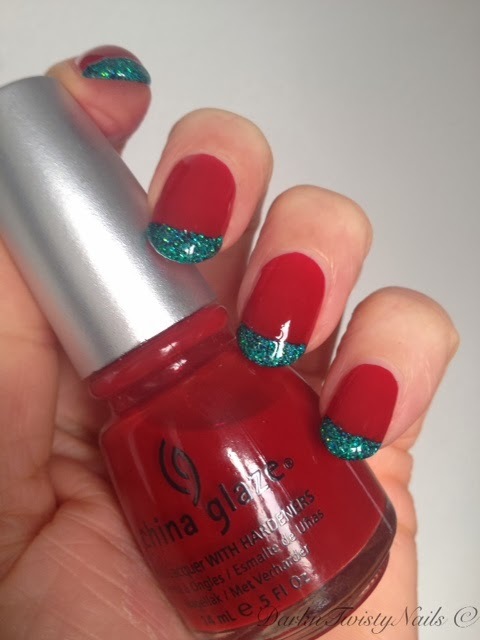 It's a red cream and I use it a lot in holiday mani's (and other mani's, because let's be honest, I just love this polish). 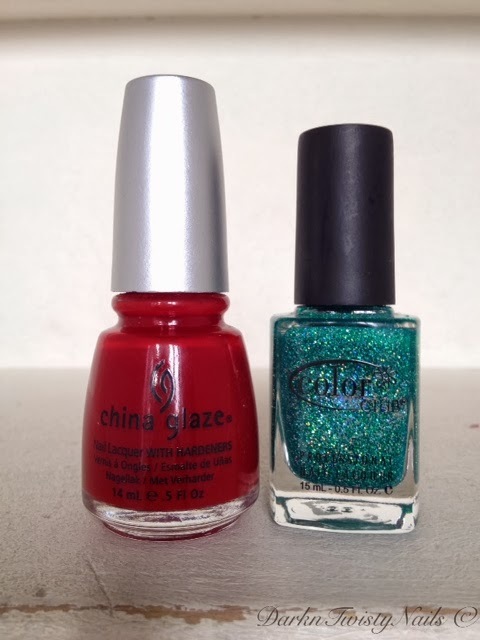 I love both these polishes and I love them paired together. They just scream Christmas to me. 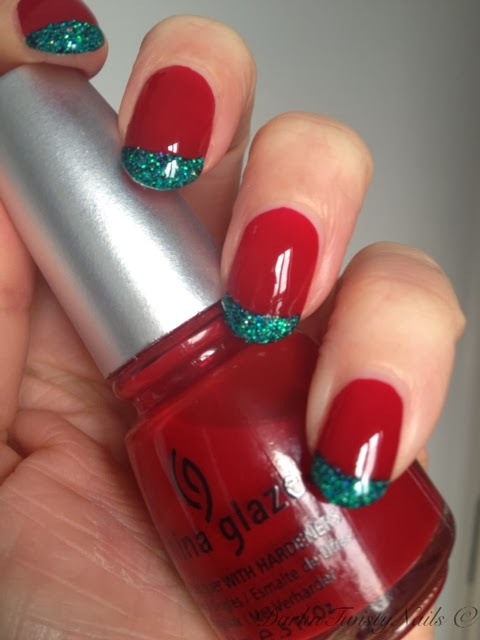 I can't wait to see all the other #XMASNORULES mani's, I'm so excited about this challenge! What is your favorite holiday polish? It looks very pretty and classy!!! Oh so pretty! Your nails continue to amaze me!! That's so sweet, thanks Lu! AWESOME mani!! I adore the green french tip, it's just perfect. You have the best reds Anca,,,and you are rocking the red/green french, LOVE! Where did you buy holiday splendor? But I think nailpolishfashion.nl has it too, or you can try eBay.